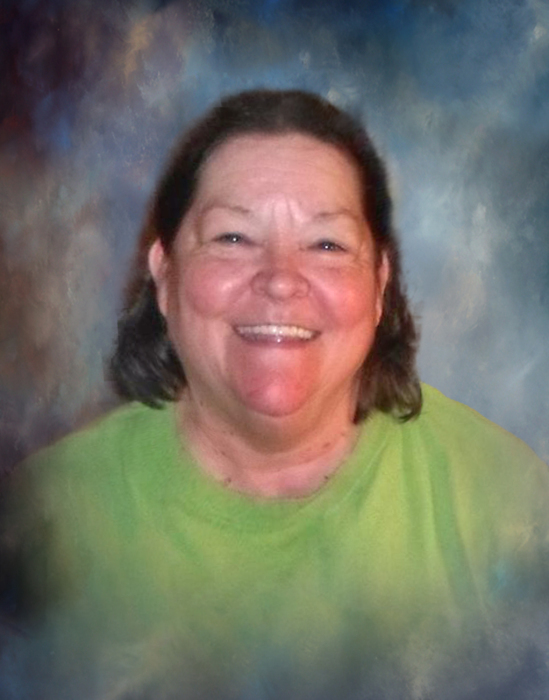 Paula Spikes, age 61, passed away Sunday, January 27, 2019 at Community Hospice Inpatient Center in Vidalia. She was born April 4, 1957 in Reidsville to Tom and Nellie Bryant Spikes. She had lived most of her life in Reidsville. Paula had worked at Roydon Wear for 16 years and Family Dollar for 14 years. She was a member of Hope Baptist Church and is preceded in death by her parents and brothers, Tommy and Ricky Spikes. She is survived by her companion of 32 years, Tommy Rolls of Reidsville; daughter, Carrie Wolf of Reidsville; brother, Michael C. "Charles" Spikes of Reidsville; grandchildren, John Paul Haggard, Jolin Wolf Carmichael, and Olivia Wolf Carmichael. Numerous other relatives also survive. Visitation is scheduled for 1:00 p.m. until 2:00 p.m. on Wednesday, January 30, 2019 at the chapel of Low Country Cremation & Burial in Reidsville. Funeral services are scheduled to begin at 2:00 p.m. on Wednesday, January 30, 2019 at the chapel of Low Country Cremation & Burial in Reidsville with the Rev. David Moxley officiating. Interment will follow funeral services in the Reidsville City Cemetery. Low Country Cremation and Burial is serving the family of Mrs. Paula Spikes.